Started working in glass in 1998 at Public Glass in San Francisco. 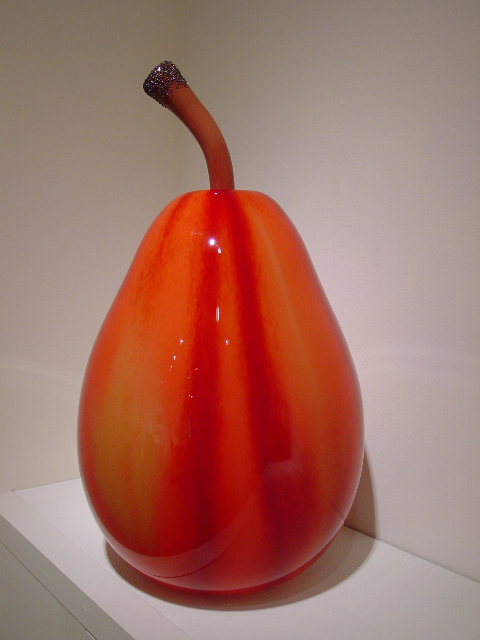 I have been creating large scale natural fruit and vegetable forms in glass for more than a decade. I choose to make naturally inspired forms that I think are visually interesting and that I enjoy making in the glass studio. My works include Rainier and Bing cherries; chile, jalapeño and bell peppers; pear and round tomatoes; Gravenstein, Gala, and Delicious apples; pluots and plums; Forelle and Bosc pears; and Black Mission figs. Cherries—the Rainier Cherry and Bing Cherry pieces—have been my most popular works. Most of my objects involve stems and bodies. My process involves making blown stems separately that are joined hot to a bubble after it is inflated. I sometimes employ several steps of color application to achieve more painterly effects, such as the D’Anjou Pear. I have also made some larger installations, the largest of which is the Harvest Grape Cluster at Copia in Napa—a hanging cluster of more than 300 blown grapes measuring about 6 feet tall and almost equally wide. In an ongoing collaboration with Ed Kirshner, we have made illuminated pieces using electrified gas plasma, including, thus far, the Plasma Cherry and the Fiery Jalapeño Pepper. At age two Liz Strickland created her first piece of artwork, multicolored dots on a piece of paper. When her mother asked her about her creations she titled it “Rainbow Snowy Day”. With a life long passions for the arts it was no surprise that Liz chose to pursue a BFA in Glass at California College of the Arts. In 2009 she graduated with distinction. Since the completion of her under graduated degree Liz has continued to make art and show throughout the bay area. 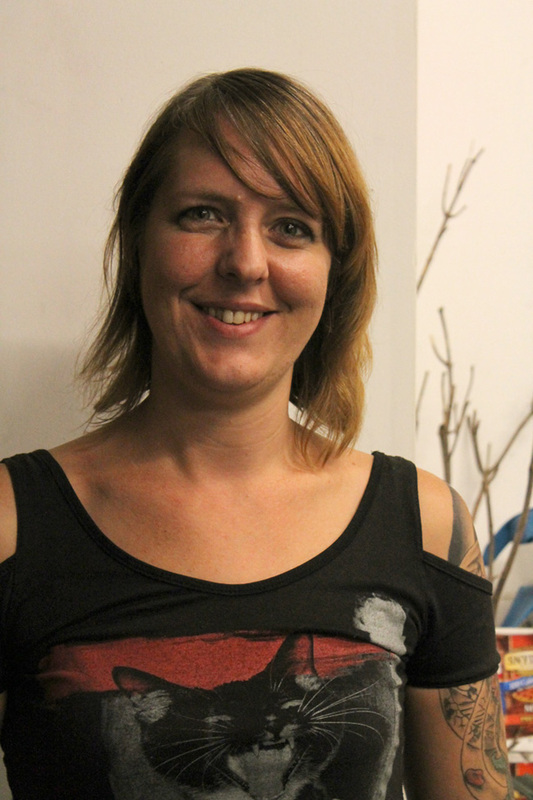 To continue her practice as a glass artist Liz interns and teaches at The Crucible. 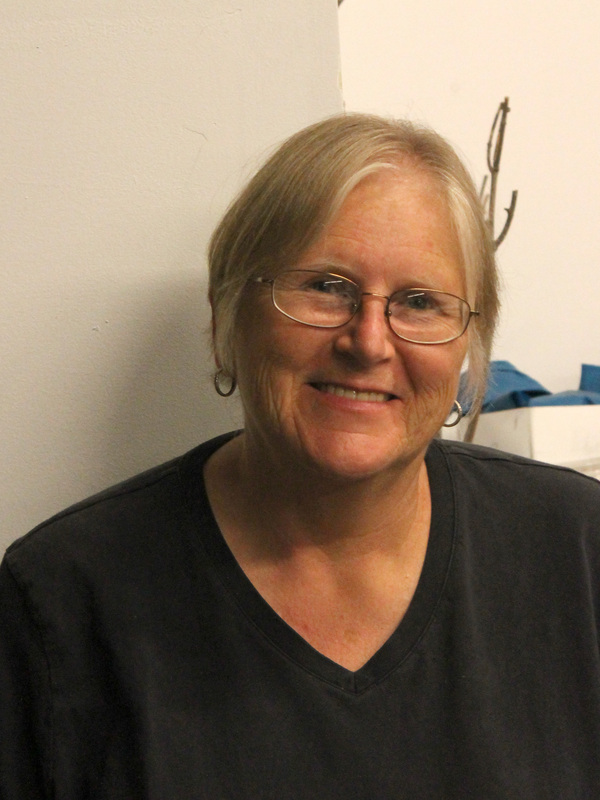 She is responsible for the maintenance of the Crucible’s Fusing and Slumping Department in exchange or kiln use. 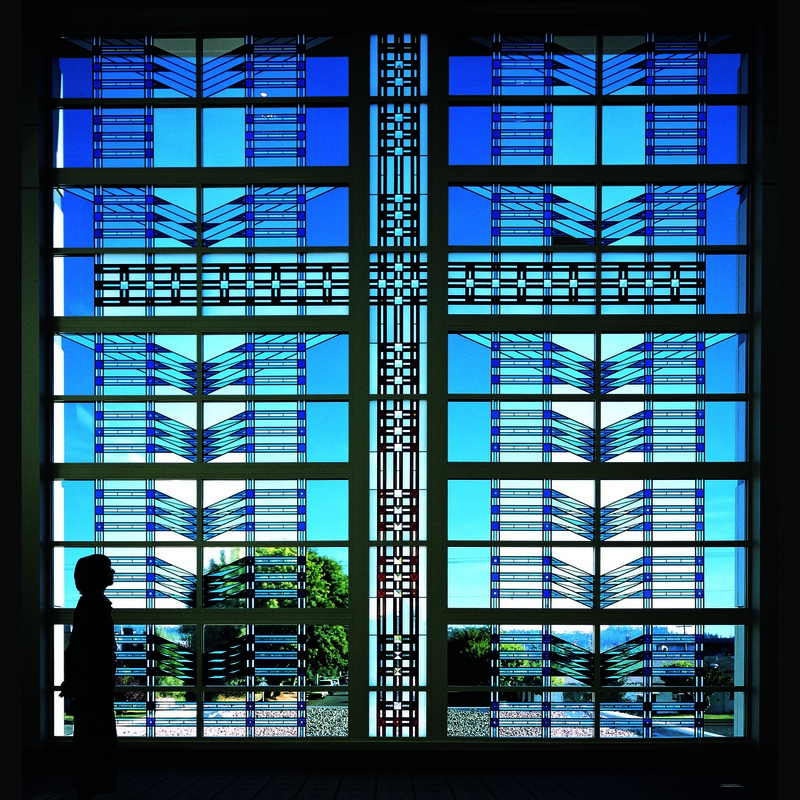 She has created graphics for the 2012 Glass symposium. She also spent time volunteering with the summer youth glass blowing classes, helping to shape the next generations of glass artist. Because the elements of detail, size and material spark an initial interest, the work draws the viewer in with its stunning presence. The content displayed in its intricacy holds one’s attention, constructing a space to explore the many levels of history, beauty and personal connection to place. The cinematic co-mingling of concept and content nurture an environment of discovery allowing the viewer to assemble a personal reading of the story, imagery and emotion found within each piece. Liz’s work investigates the overlap of perception, past and present, using materials, images and scale to manifest an emotional landscape that allows for total immersion in the work. Jerry Kung and Alexander Abajian are the founders of FirePrint Studio in Oakland, CA, where they collaborate to create glass sculpture utilizing age-old techniques while integrating a contemporary aesthetic. They were awarded People’s Choice honors at the 2011 Museum of Glass Red Hot Party & Auction. For the past four or so years, Alex Abajian and Jerry Lin-Hsien Kung have been making “creatures” — tripodal formations of bended glass, typically coated in a mirror finish. 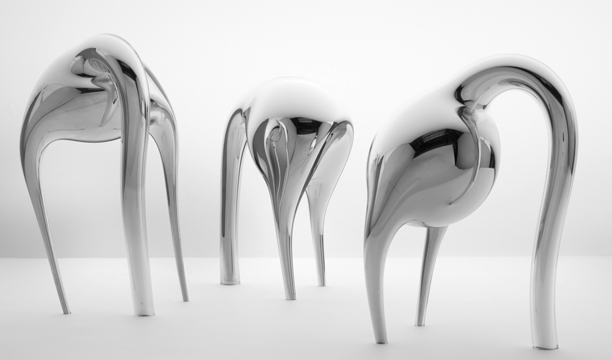 In isolation, one of these creatures might appear a merely decorative object — a chic, sensuous addition to a posh lobby or some such space. However, Abajian and Kung have no interest in delivering their creations to such a fate. With a $40,000 grant from the Tacoma Museum of Glass, Abajian and Kung were able to create quite a sizable congregation. This also makes the exhibition, Creatures, now at Vessel Gallery, one of the most expensive in the history of Oakland’s gallery scene. But it’s not exactly clear how someone seeking art should approach these objects. One thing is sure: They are not like conventional sculptures, where the art is in some sense encapsulated in the finished form. Rather, Abajian and Kung’s art is in the process. The artists have been collaborating since they were students at the Rhode Island School of Design. They have a seemingly inexhaustible supply of shared stories, and even possess matching cranial scars (each the result of a serious injury; neither glass blowing-related). Together, they pursued the craft end of glass-making for a while, but soon started drifting toward something else — a more playful, organic process free of rigid expectations. Alexander Sarkis Abajian graduated from the Rhode Island School of Design in 2000 with a Bachelors Degree in Glass Sculpture. Since then he has exhibited nationwide, Colorado Springs Museum, Colorado Springs, CO; Adam Whitney Gallery, Omaha, NE; Pismo Gallery, Denver, CO; San Francisco Design Center at the A. Rudin Showroom. 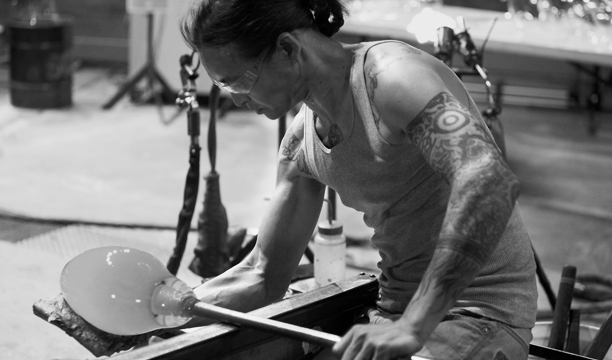 He has also been a recipient of many awards and scholarships: The General Pilchuck Scholarship, The Martin Foundation Young Craftsmen Award, The Taos Open- Best of Craft Award, to name a few. He was recently a visiting artist at the California College of the Arts. Alexander Abajian is a prolific young artist untethered by convention. He integrates a variety of different elements to his own sculptures. Whether electroplating metal to glass, combining kiln castings with hand blown accents, manipulating solid pieces of color to forge vessels impregnated with intricate designs, or translating his own figurative paintings into three-dimensional sculptures, Alexander manifests an interminable drive to create. He is on the forefront of glass art, truly utilizing the material as a means of expression, free from the constraints of craft. Alex now lives and works in San Francisco California. Has been working in glass in California since 2007. I have been an artist most of my life but only recently began working in glass. In 2007, I started working with stained glass and moved through kiln formed glass to cast glass after taking a class at The Crucible. My work reflects the natural world I see around me, combining my love of nature and a passion for art. 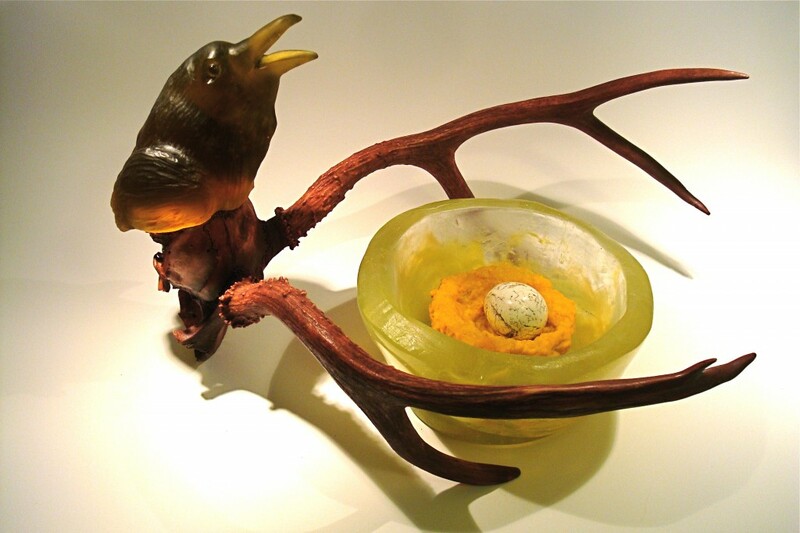 Creating a glass sculpture out of a clay or wax model is always a journey of discovery. My geeky side loves the physics of glass, the problem solving, and the complexity of the process. My emotional side loves the observation and discovery of the form, the surprise at the outcome, and discovering new aspects of myself through the process. During the 1970’s through mid 1990’s, I worked with a group of activist artists called Fireworks Graphics to produce silkscreen and offset posters addressing the social justice issues of the day. The Fireworks poster collective produced over 150 posters (mainly silkscreen). Fireworks Posters are part of the Oakland Museum of California poster collection and can be seen with other social justice posters of the period at: OMCA Social Justice Poster Collection. I attended San Jose State University and majored in Biology. I worked at the University of California, Berkeley in many capacities and retired from the Central Budget Office in 2009 ready to devote my time to glass. I share a studio at The Crucible in Oakland, California with two other glass artists. 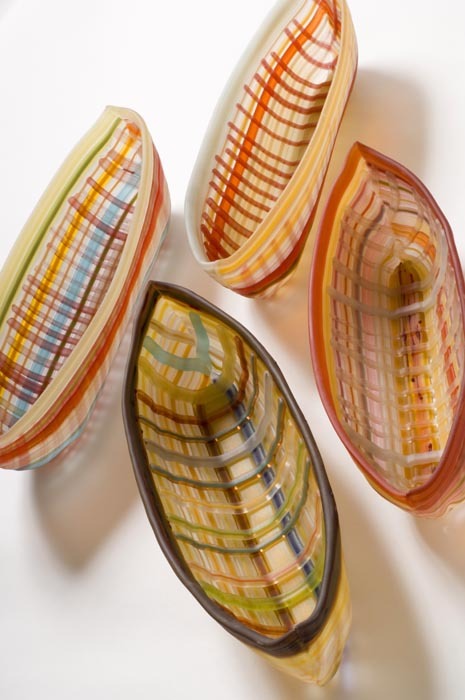 We invite people to stop by “Go Go Glass” in Studio’s 1 & 2 at the Crucible. The music is always on and the conversation is always interesting. 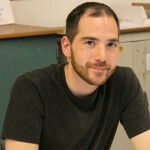 Without Daniel, there would not be a Symposium website or printed program. 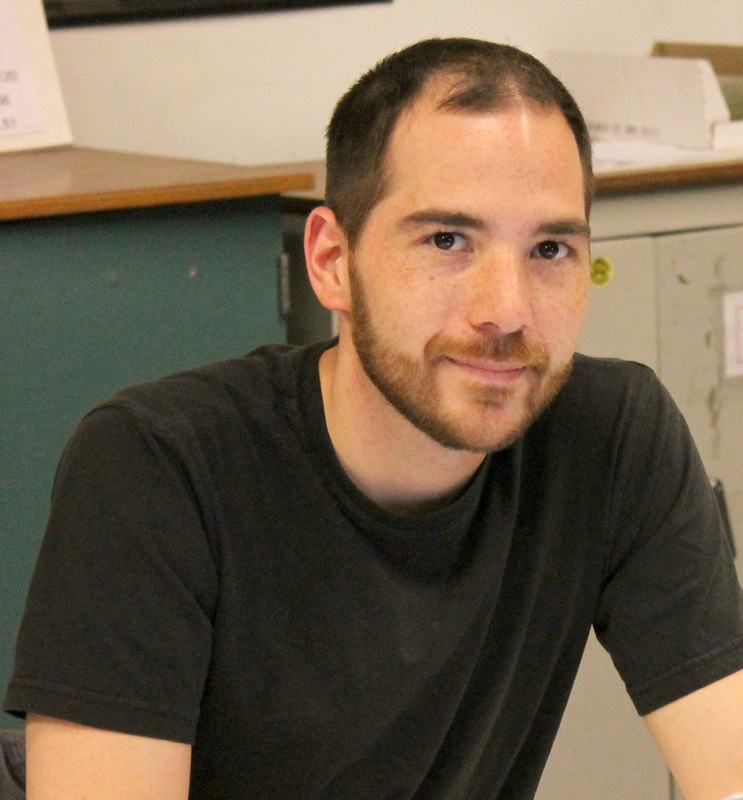 In addition to his incredible technical expertise, Daniel is patient and always keeps a positive attitude. It is a joy to work with him. And, he can blow glass! The perfect combination to be on the Symposium organizing team. Dale is an inspiration to the organizing team, giving the Symposium many hours of her time while attending school and being a mom. She has been dubbed the “goddess” of the team for her hard work, efficiency, and unflappable calm, while juggling forms and feedback from 140 symposium presenters. Started working in glass in Wisconsin in 2001. She has been working in glass in California for 1.5 years. While working as a corporate trainer, JC began to teach herself lampworking in 2000. In January 2005, addicted to melting glass and having established the roots of her current business, she began making beads full time. The decision to dedicate her total energy to learning the craft and business of beadmaking allowed for a self-education revolution for JC who soon found additional energy from the advise and inspiration of her peers. After exploring and learning to work enamels on lampwork beads, JC began teaching enamel workshops and classes in 2007. Her fondness for enamel was quickly surpassed by a desire to control stringer and create designs with fine, straight lines inspired by a long history of architectural interest. JC currently works from a home studio on the Mendocino coast in northern California. Started working in glass in 1980 at the California College of Arts and Crafts (now CCA). 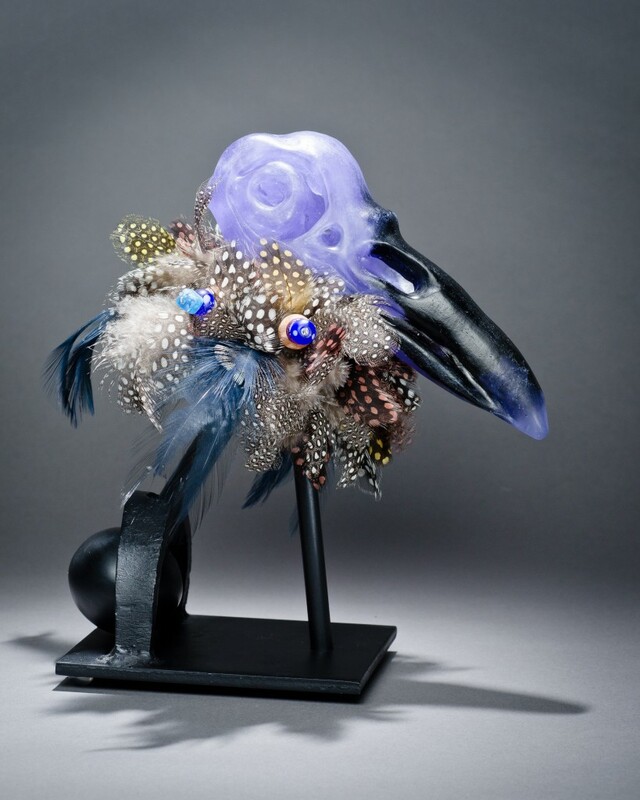 Hungarian-born artist Mari Chovan-Upton creates figurative and abstract sculptures in ceramic, stone, bronze and glass. She studied drawing and sculpture in Budapest, Hungary. painting in Florence, Italy and stone carving with Italian masters in Pietrasanta. 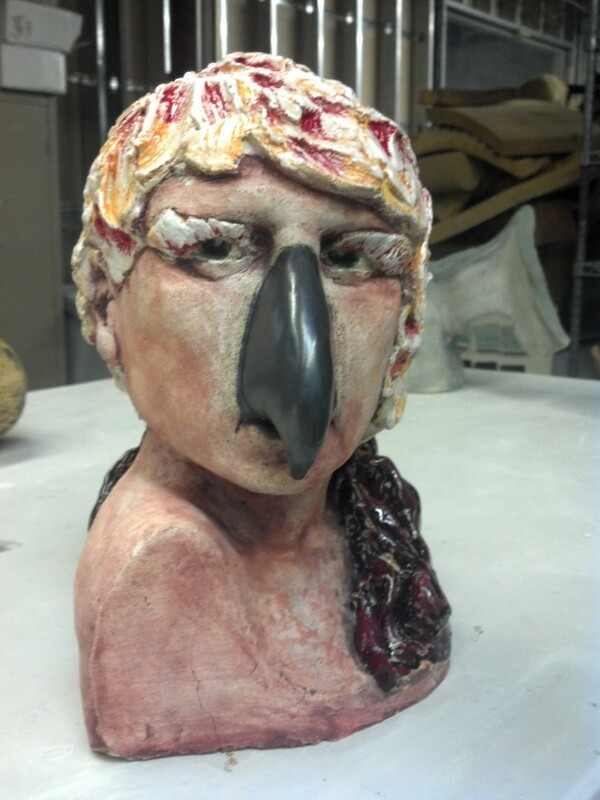 She studied glass under Marvin Lipofsky at CCAC. 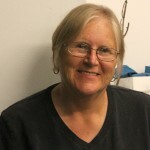 She was an artist in residence in kiln-cast glass at San Jose State University and taught kiln-cast glass at the Crucible for several years. Her work has been exhibited in the United States, Hungary and Italy. 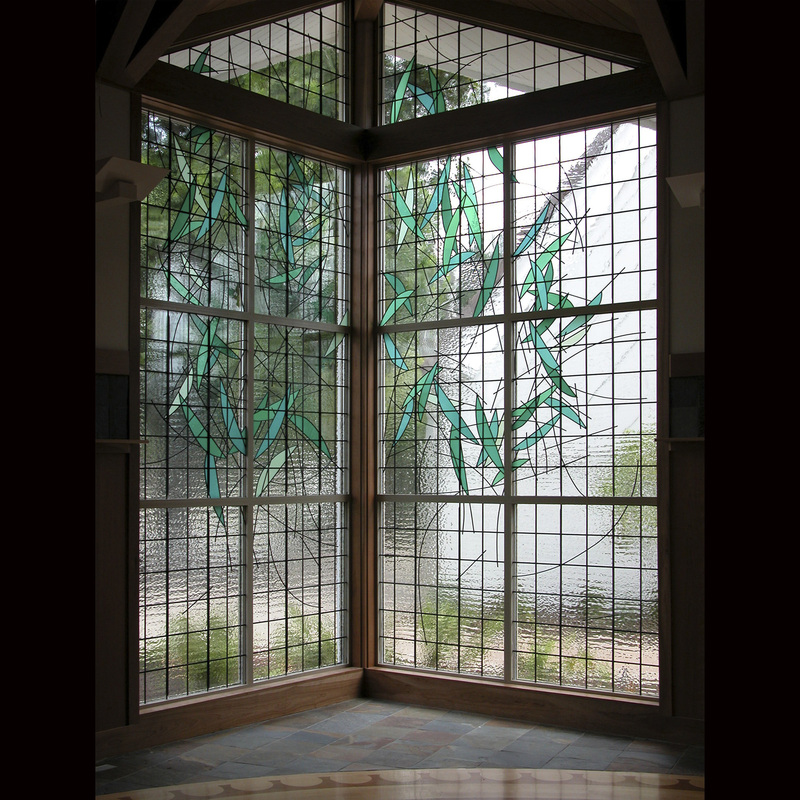 In her glass works, whether figurative or abstract, she loves working with both natural and artificial light. In the inner life of a glass sculpture the reflected or captured light is constantly changing. She entices the viewers’ eyes to move beyond the surface, to enter the form, and discover the captured light inside. These unpredictable plays of inner light and shadow make the works seem naturally alive. In her quest for this aliveness, her sculpture with artificial light (whether lit from below, or as plasma light inside) plays with how the light changes depending on both ambient lighting and viewer interaction. 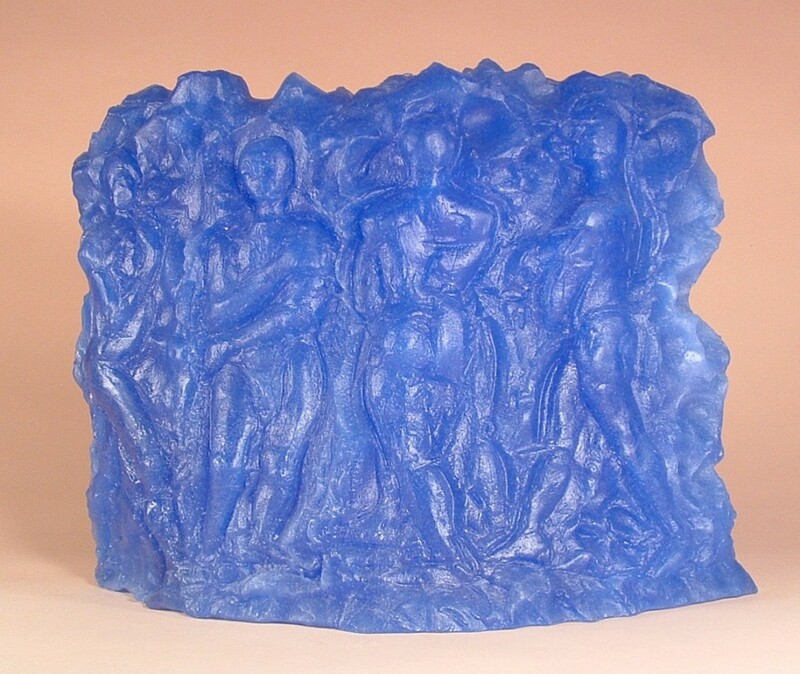 Having intimately experienced the beauty of opaque colors in antique vases of Pate de Verre (“paste of glass”) back in Hungary, she has been using Pate de Verre for her figurative sculpture. This allows her to work in an opaque medium that brings in yet another element of light — translucent color. 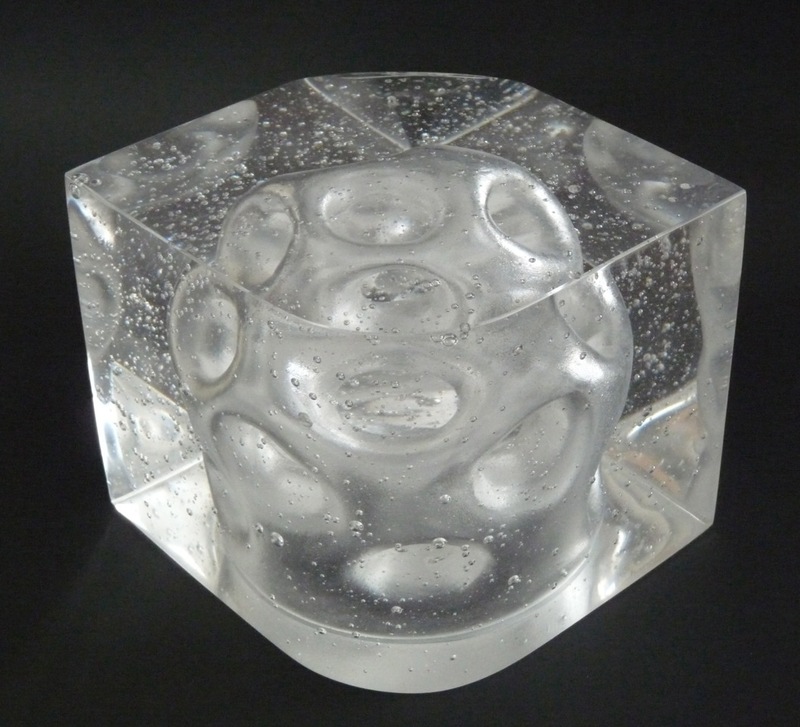 Arthur Stern started working in glass in California in 1973. Arthur Stern opened his studio in 1976, after previously working in Architecture and Interior Design. A specialist in Public Art he has installations in 36 states and 3 other countries. Known for his site-specific work Stern has developed and refined a personal abstract language in glass.